Planet is one of the largest ERGs at Dell, with more than 60 chapters and nearly 9,000 members globally. It gives Dell team members an opportunity to act on their sustainability interest. We’re pleased that Clean Jordan Lake was recognized as a good opportunity to help restore beauty and harmony to a vital natural resource within the Triangle area . The target area was a section of shoreline accessed off Pea Ridge Rd. just east of New Hope Overlook. This is the fourth section we’ve cleaned along this stretch of shoreline since last May. 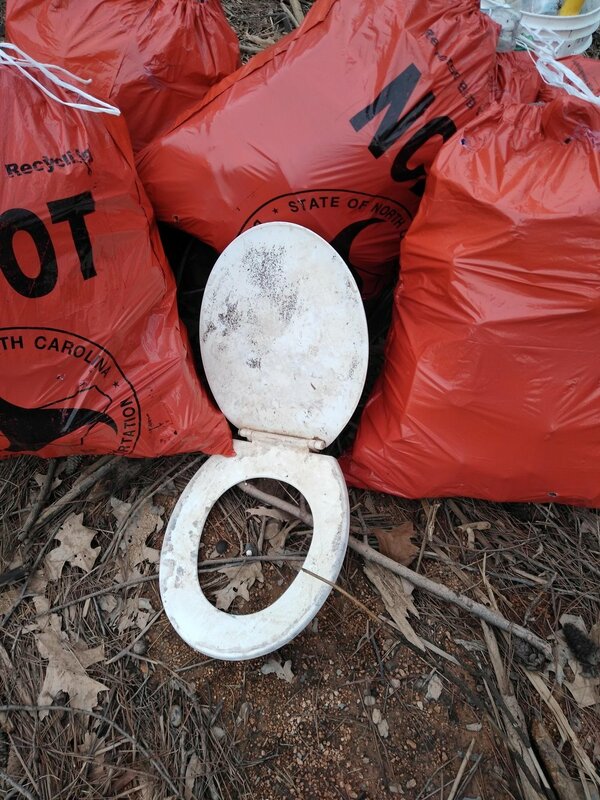 The volunteers removed 52 bags of trash, 19 tires, several fire extinguishers, a large container of industrial chemical origin and for the first time in our 10 year history, an intact toilet seat! We look forward to future participation by Dell Planet NC!